That is, assuming you're interested in being able to tongue notes that are CLEAR and DEFINED. Oh, and QUICK! However, to get you started towards clear tongued notes, here is this week's FREE video. 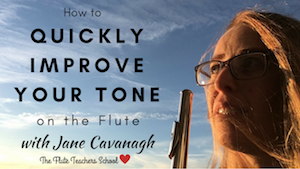 In just 7 minutes, you'll learn how to suddenly get yourself some clearer tonguing!